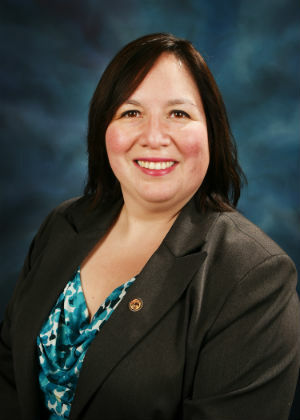 SPRINGFIELD – Senator Cristina Castro (D-Elgin) issued the following response to Governor Rauner’s State of the State address today. Senator Castro was upset that the governor did not mention the task force he planned on putting together to solve the problem at the Veterans Home in Quincy regarding the Legionnaires’ disease epidemic. ELGIN – February is Heart Health Month, and what better way to bring awareness than by providing free heart health screenings? 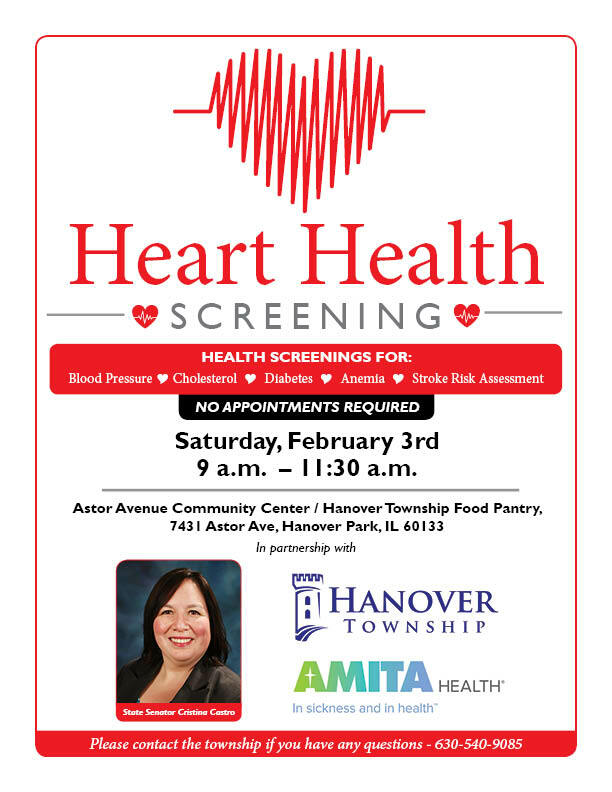 Senator Cristina Castro (D-Elgin) is partnering with Hanover Township and AMITA Health to provide heart health screenings at an event in Hanover Park. The Hanover Township Office of Community Health will be providing screenings to check blood pressure, cholesterol, diabetes and anemia. AMITA Health will be providing stroke risk assessments. The event will be held Saturday, February 3, 2018 from 9 – 11:30 a.m. at the Astor Avenue Community Center (7431 Astor Ave. Hanover Park, Illinois 60133). No appointment is required. Any questions can be directed to the township at (630)-540-9085. AMITA Health is the third-largest health system in Illinois and delivers care to Chicago’s northwestern, west and southwestern suburbs. Hanover Township provides a variety of services to its community. The location of the event is home to Hanover Township’s Department of Welfare Services. This department offers programs and services to improve the quality of life of Hanover Township residents experiencing hardships. 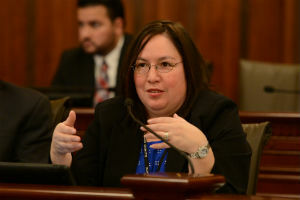 SPRINGFIELD – Senator Cristina Castro (D-Elgin) attended the Senate and House Veterans Affairs Joint Committee Hearing regarding the Legionnaires’ disease outbreak at the Illinois Veterans Home at Quincy. There have been over a dozen deaths caused by this disease in the past three years. Legionnaires' disease is a severe form of pneumonia caused by bacteria found in plumbing systems. Thirteen residents at the Illinois Veterans Home at Quincy have died due to this disease over the past three years.